Nowadays, tend to use nanotechnology in various fields such as medical science and pharmacology have increased. Making nanoparticles can be done by different ways, but, due to the hazards and environmental pollution caused by them, green synthesis has attracted much attention. Green synthesis of biological resources such as plants, green algae, and microorganisms like bacteria and yeast are used for the production of nanoparticles. 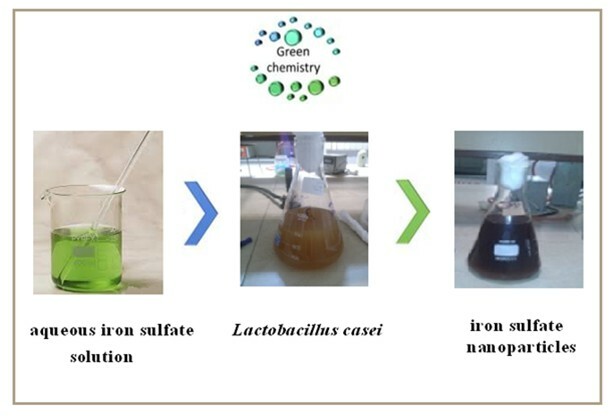 For the production of iron oxide nanoparticles this research, in line with the objectives of green synthesis, used the lactobacillus casei extract as a biological source. 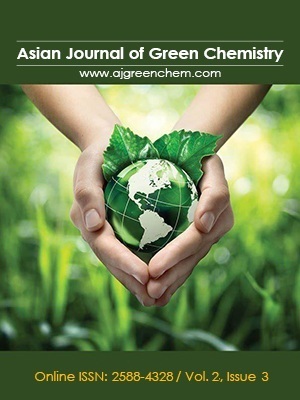 In this study, green synthesis of iron oxide nanoparticles were performed usingLactobacillus casei extract as a biological source cytoplasmic extract of lactobacillus casei and iron sulfate solution 10-3 M [pH=5.6] were mixed in a V/V 10 % volume ratio, and incubated for 3 weeks at 37 °C in the presence of 5% carbon dioxide. Synthesizing iron oxide nanoparticles was studied by electron microscope and x-ray microdiffraction. After three weeks of incubation, the color of iron sulfate and the extract solution was changed from colorless to black. According to XRD analysis, synthesis of iron oxide nano crystals was confirmed. The average synthesized nanoparticles diameters as determined by transmission electron microscopy (TEM) was found to be about 15 nm with a spherical shape. Production of iron oxide nanoparticles through green synthesis method using cytoplasmic extract of lactobacillus casei as a microorganism probiotic is biologically safe, of low cost, simple, efficient, and eco-friendly treatment that has attracted a lot of attention in medicine, pharmacology, and targeted drug delivery.